Jump in your Deloreans and grab your Sports Almanac, we’re going back in time! 2015 is Back To The Future’s 30th anniversary, and the Asheville Comic Expo is celebrating it in style! 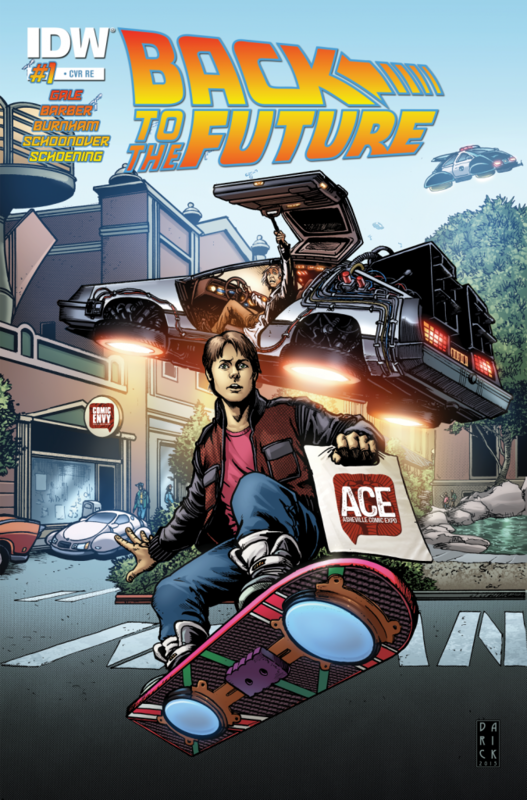 Available ONLY at A.C.E, a limited edition variant of the #1 issue of BACK TO THE FUTURE, published by IDW! For the first time, Bob Gale (cowriter of the original trilogy) will be adding new stories and adventures to one of the greatest film series of all time. This special cover will only be available for sale at the expo, and is limited to 500 copies. Once they’re gone, they’re gone….great scott! The Asheville Comic Expo will take place on October 24th, at the Us Cellular Center. Tickets are now available on ticketmaster.com, or at the door. 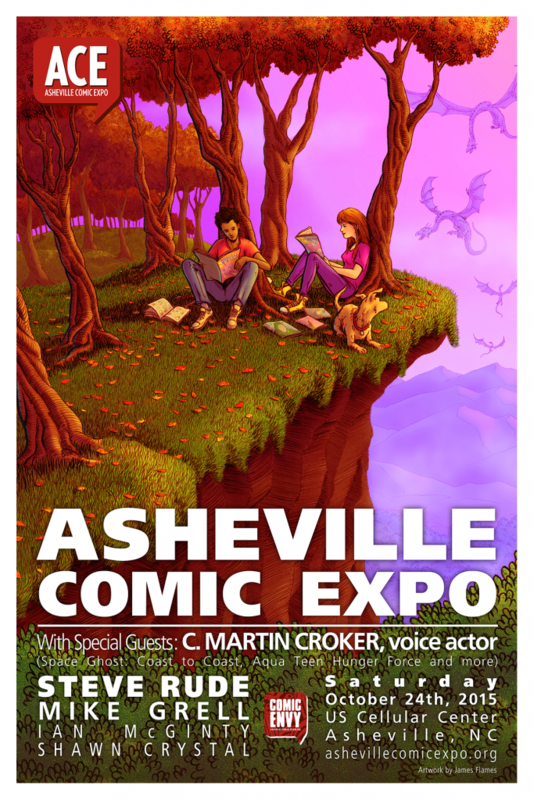 A.C.E is Asheville’s only comic convention, celebrating our fourth year of ever-growing success. With special guests, amazing local talent and an all-ages costume contest, the Asheville Comic Expo is a great day out for the whole nerdy family! Special guests at A.C.E include: Steve Rude, Mike Grell, C. Martin Croker, Matthew Manning, Kelly Yates, Matthew Dow-Smith, Jeremy Whitley, Ian McGinty, Shawn Crystal, Meghan Hetrick, Steve Mannion, and Jackie Lewis.